"Prayer beads share this universality, yet serve a more personal, less outwardly expressive, function. Rather than gesturing to another, they tether us to ourselves, keeping us present, each bead a moment that we experience, not intellectually, but tactilely. Passing beads through our fingers, we relieve our overburdened minds of their duty, shifting away from our hyper-intellectualized existence. 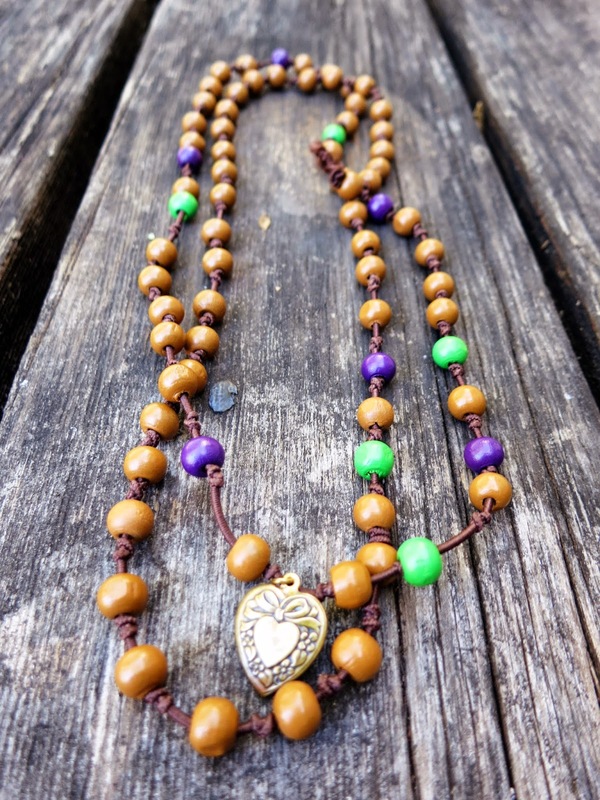 As the secular name for prayer beads - worry beads- suggests, the kneading of the beads somehow takes our worries from us." "Prayer beads are a subtle energetic and physical reminder to live life to its fullest, stay present and focus on an area that needs cultivating." The word "bead" itself is derived from the Anglo-Saxon word bede, which means prayer, likely at etymological derivative of the Sanskrit word bodhi which refers to self-realization or enlightenment. Beads, it seems, were destined to be tools of prayer. The mala serves as an outward sign of an inward desire to align with the principles of peace, unity and love by ceasing negative behavior or initiating a positive one. Happy Monday! Wear your bracelets and let them carry you to a new place in your heart or in your life! !